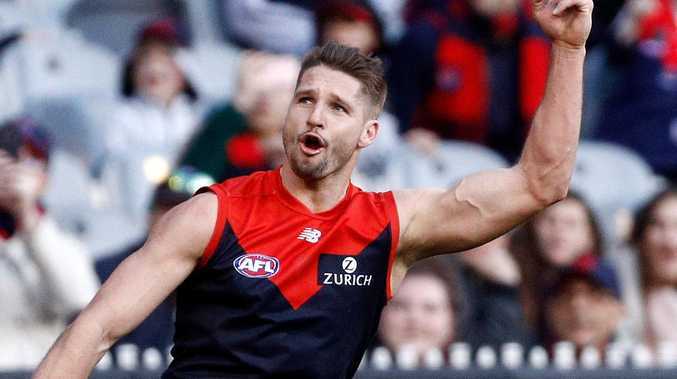 Jesse Hogan’s move to Fremantle has been a long time coming. AFTER the madness of the final day of the AFL Trade Period subsided, several of the biggest stars have opened up about moving on from their clubs. Former Port star Chad Wingard was the first domino to fall in a massive three-way deal to kick off the day but several big names were traded, including Jesse Hogan, Lachie Neale, Steven May, Dayne Beams and Dylan Shiel. Former Demons and brand new Fremantle Dockers recruit Hogan said the move had been over a year in the making after speaking with coach Ross Lyon and Nat Fyfe during the 2017 trade period. "I caught up with Nat and Ross last year in the case of a random trade and the way they were talking with a bit of a five-year plan, it kind of aligned with where I was at," Hogan said. "Then this year we had further conversations about it with a bit more depth and they aligned with where I was at. I agreed with what Nat and Ross were saying so the natural pull to Freo was on the back of those conversations." A Perth local, Hogan wanted to get home and have a "fresh start". Hogan said it was a tough period being away from his family in Perth when his father passed away and he battled testicular cancer. The 23-year-old had a 71-game career with Melbourne and scored 152 goals but said the incidents made him rethink his priorities. "Melbourne were extremely supportive and it's not too often you have two incidents like that happen so close together and I couldn't have asked for any more from their side of it," Hogan said. "But not being able to get back to Perth and having that pressure to perform week in, week out and having other things on my mind probably started to impact my performance and general wellbeing to the point I ventured into what might be best for me on and off the field." Hogan even said he understands the Demons could win a flag in the near future and understands what he could be giving up. Lachie Neale asked for his move from the Dockers to the Brisbane Lions but it wasn't until the final day of the trade period his wish was granted. 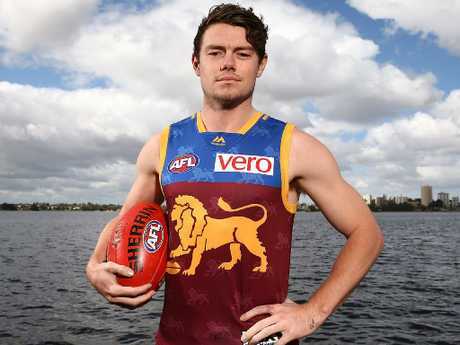 Lachie Neale in his new Brisbane Lions strip. Despite speculation Neale had a falling out with coach Lyon but he insisted it wasn't the case. "There is no reason why I don't want to be at Freo, despite what some people have said," Neale said. "It was just a really good opportunity for me to head up to Brisbane and be part of a really special group. I met with the key people at the club and they're really impressive. 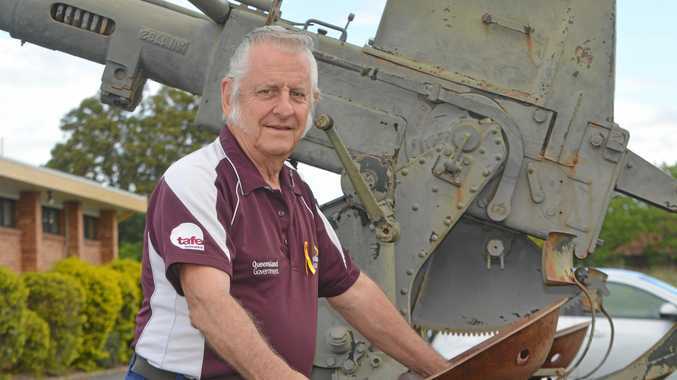 "At Fremantle, there are a lot of great people there, so it's really hard to say goodbye. But that's the decision we've made." 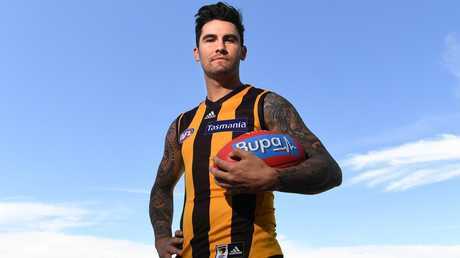 Hawthorn recruit Chad Wingard said he was chasing a new challenge needed to get out of his comfort zone at Port Adelaide. "You need to be challenged, you need to have that drive and I did have that drive all year," Wingard said. Chad Wingard tries on his new colours at Waverley Park. "When you don't perform as well as you used to a lot of things get said about you, whether it's true or false. My drive to be competitive and play the best footy I can has never changed. "To be in a place where I can start fresh and make new connections. I was at Port for seven years and very comfortable with where I was at and I think that can be a dangerous place to be. "This is very uncomfortable for me to be in Melbourne playing in another team and I think that's the right challenge that I need." Dayne Beams moved from the Lions to Collingwood and said his heart has "always been at the Pies". Beams was originally traded in order to be closer to his sick father, and had battled mental illness and grief issues. 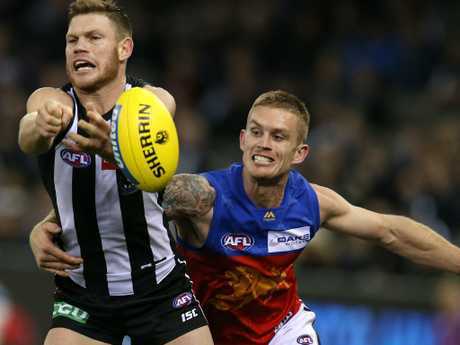 Dayne Beams tackles Collingwood's Taylor Adams but he really wanted to get back to the Pies. Beams said the decision to move back to Melbourne was "one of the only things this year that has made sense to me". "I make decisions based on that I'm a father and a husband, I don't make decisions from a football point of view," he said. "All of dad's side of the family is in Melbourne, my partner Kelly all her family are here. I've got basically a second family that sort of took me in when I first came to Collingwood that are here. I've got a lot of support here. "There's a bit of a misconception that I've got, my family's in Victoria, I've also got my sister in Melbourne as well. So I've really only got my mother and my brother who's moving onto the next chapter in his life (in Queensland). "So I felt that the best thing for my family and myself was to get back to Victoria. And I'm grateful that both clubs were able to come to an agreement and I've landed back at Collingwood because, you know, post my father's death, I always used to say to my dad that I'd end up finishing my career at Collingwood. My heart's always been at the Pies."